Chris Archer is a pitcher on the rise with a franchise that's ready to do the same. His high heat and command of his pitching repertoire earned him a third-place ranking in the 2013 American League Rookie of the Year voting behind teammate Wil Myers and Jose Iglesias of the Detroit Tigers. Archer also has the fortitude to improve upon that performance. How good can the 25-year-old right-hander be? So good that Jose Molina says the franchise could have another Cy Young award if he continues to progress the way he has in St. Petersburg. As for the Tampa Bay Rays, they are a team that has gone all-in this season after re-signing David Price and James Loney as well making notable acquisitions such as reliever Grant Balfour. 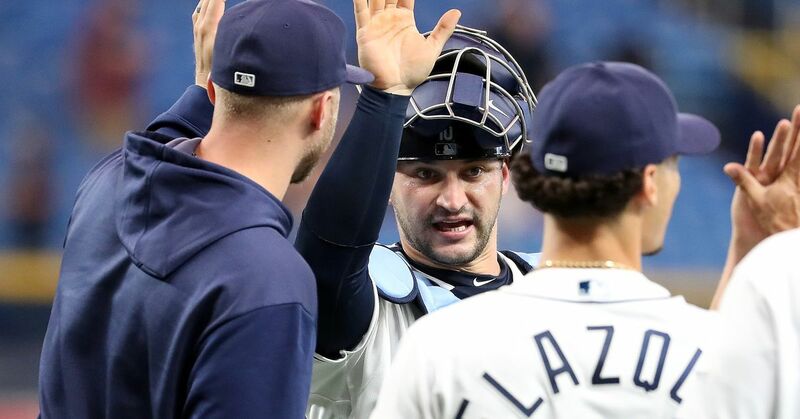 With both invigorating youth like Archer and Myers to go along with that experience, the Rays have a chance to make it back to the playoffs in 2014 and compete for a World Series. Archer talked about that, his transformation on the big league stage and much more in an exclusive interview with Bleacher Report during his offseason workouts. Bleacher Report: What was one of the biggest things you wanted to work on this offseason, and do you feel like you've accomplished it? Chris Archer: Yeah, I think the No. 1 thing for me this offseason was preparing my body for 162 games plus the playoffs. This year is my first year playing from start to finish, and I plan on pitching into October as well with the team we have. What I did was cut back on my workouts so that I don't wear myself out before spring training. I kept the same intensity but just cut down on the amount or workouts. I threw roughly 180 innings this past year and I want to throw over 200 this year. I feel strong now, and I'll only get stronger throughout the season. B/R: Any specifics on the things you worked on pitching-wise? Archer: I'm continuing to solidify my fastball command so that it's better. I've also worked even more on my slider to make it sharper. And I also worked to make my changeup a legitimate third pitch so that I have that option when I need it at any point in time. My goal is to throw any one of those three in any situation. It could be four in the future. B/R: How much have you changed over the last few seasons to get to where you are today? Archer: It's crazy to think about, because it really started from high school. When I graduated from Clayton, my average velocity was about 88 mph and I could touch 90 at times. Now my average is around 94 mph. Then there was the fact that I had to figure out my own pitches. Now that I have all of that down, it's just sharpening the mental side. I just have to trust my mind and what I'm thinking on the mound. I know I belong here, but I had to focus more on mental execution at that level. B/R: After going up for a few short stints in 2012 and getting the call in 2013, at what point did you know that you had secured a spot in the rotation? Archer: It was probably after about a month with the team. I wasn’t playing particularly well, but I sat down with [pitching coach Jim Hickey] and he basically told me, “Look, you’re staying up here. So you can pretty much eliminate that thought out of your head.” After being able to let go of being afraid of getting sent down, I could really move on, and that’s when I started pitching really well. B/R: That was around the first Yankees game, right? Archer: Yeah. I faced them three times. But the first time when I pitched against them, I threw six innings, gave up one run and walked one. Prior to that game was when I had a talk with my coach, so I let that go and could solely focus on pitching. I started to let that build and build and it just kept working out for me, and I never even thought about going back after that point. That was when I realized that this is where I belong. B/R: How much did the guys around you help you get to that point? Archer: Working with David Price is like a dream come true for me. I've looked up to him since 2007 when he got drafted because we have similar backgrounds and similar upbringings. He was a guy that I always looked up to and we weren't even a part of the same franchise when I got drafted. Then when I got to meet him shortly after he was drafted, he was just a nice, genuine dude. So for it to come around full circle and now he's the anchor of the big league staff I'm on, it doesn't get any better than that. He's probably the most influential player on the team, and he's helped me tremendously. I've started to grow just from watching him and have tried to mimic his game. B/R: How tough was it for you to see his name popping up in trade talks throughout the offseason then? Archer: It did stink a lot. I wasn't happy with it, but it didn't happen. So let's just leave it at that (laughs). We're all really happy he didn't get traded. Everyone is super excited to have DP back, on top of other moves like bringing back [James] Loney and signing Grant Balfour. To bring DP back was like the icing on the cake to tell us that they really want to do it this year. It's very refreshing. B/R: Does that put any more added pressure on the team to succeed this season? Is this the year it's got to happen for the Rays? Archer: I do have that feeling, but I don't have pressure just because the management and coaching staff don't put that on you. They just want you to be you and be comfortable because that's how you become successful. We don't have pressure; we just have a more equipped team with the same mentality. [...] Having that familiarity is going to be key for us. To be honest with you, everything is lining up for us to have our most successful season. B/R: How frustrating is it to have to compete with teams like the Yankees and Red Sox that shell out huge contracts and are in the same division? Archer: Just like you and I know how the Rays do business, we also both know how the Yankees do business. It's not frustrating; it was just another offseason where you say, "Here the Yankees go again." That's not a bad thing. We do things our way and they do things their way. We'll see at the end of the season which way is most efficient. B/R: Speaking of the Yankees, did you have to face Alex Rodriguez at the end of the season? Archer: Yeah, a few times actually. B/R: What are your thoughts on that whole situation? Archer: I don't have too much respect for people who cheated the game and took steroids. Especially somebody of his caliber. So striking him out was a little more sweet knowing that he had 600 home runs and felt the need to take steroids strictly for his ego. B/R: What about the other guys who were suspended by MLB? Archer: I feel the same way about them, too. You're a major league baseball player and most of you didn't start taking this until you got to the big leagues. Why not just work harder? Why not just focus more? What about that guy in the minor leagues who you beat out and took a job from? When Jhonny Peralta got suspended, I was thinking to myself, "Can I have those two RBI back that he hit off me?" I still feel like there should be stricter penalties if you get caught ... Your numbers should be completely wiped out or something. That's difficult, but it's not fair to the other 99 percent of the league that's keeping clean. It's just absurd to me. B/R: Sum it all up for me: What are your overall expectations of this season for yourself and this team? Archer: The coaching staff and the players say that this is the best team that we've ever had on paper, and I believe that. I haven't been a part of this organization for very long and didn't always follow them before I was traded here, but from what I've seen, this is the best team that we've ever had. And if that's the case, I don't see any reason why we shouldn't be able to go out and have the best season in franchise history. In 2008, we went to the World Series and lost, so having the best season in franchise history means we have to eclipse that. If we believe we have the best team ever, we have to do that.